The Chief Executive Officer (CEO) of the Bahrain Tourism and Exhibitions Authority (BTEA), H.E Shaikh Khaled bin Humood Al Khalifa, received in his office, the Palestinian Ambassador to the Kingdom of Bahrain, H.E. Taha Abdulqader, on Thursday, March 7, 2019. During the meeting, H.E Shaikh Khaled bin Humood Al Khalifa expressed the BTEA’s desire to strengthen bilateral ties and work together to achieve the joint objectives of both brotherly countries in order to develop mutually beneficial tourism initiatives in order to develop the tourism sector. His Excellency also discussed the BTEA’s tourism strategy and directives and its efforts to attract tourists from the region and all over the world, as well as its aim to further contribute to the tourism sector and national economy of the Kingdom of Bahrain. The Palestinian Ambassador expressed his gratitude for the warm hospitality he received during the meeting, and also stressed his commitment to strengthen bilateral relations and discuss further opportunities for cooperation between both countries by exploring other bilateral initiatives to the benefit of both brotherly countries. This meetings comes as part of a series of bilateral meetings held by the BTEA with the Ambassadors to the Kingdom of Bahrain in order to review the BTEA’s strategy under the slogan “Ours. 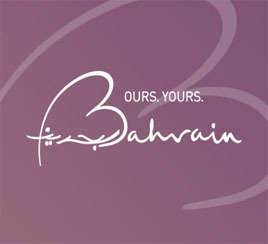 Yours” which aims to develop the local tourism sector and national economy in light of the Kingdom’s Economic 2030 Vision.